Known to one and all as Lu, LuAnn has been a member of our team since 2000. Lu's warm and welcoming smile is the first face our patients see when they walk into the office. Known for her great sense of humor, she brings a great deal of experience to her role as Office Manager. Whether making appointments for patients, seeing to financial arrangements or just answering questions posed by patients, Lu is always willing to go that extra mile to see to it that you are comfortable, informed and ready for a lifetime of oral health. Lu is married to Bryan and has a passion for all things furry. Christine has been in the Dental Assisting field for over 30 years. She brings to the Baltimore Center of Advanced experience in Oral Surgery, General Dentistry and Pediatric Dentistry. In particular, Christine is wonderful at relaxing patients who may be uncomfortable in the dental chair. Her empathetic manner places all who come in contact with her at ease. Christine has become the Chief Designer for our state of the art Same Day Crowns program. Christine is married to her husband Richard and has two wonderful children. Pamela is the newest member of our dental team. She has spent the past seventeen years learning and performing all aspects of General Dentistry. Pamela is known for her engaging personality and relaxes patients with her warm banter and caring demeanor. In her spare time Pamela enjoys spending time with her family and working out as well traveling. Melanie is the longest serving staff member on our team. We have to be careful not to call her the oldest member of our team. 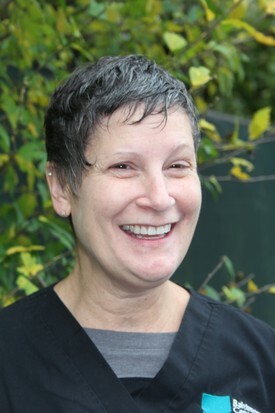 Melanie graduated from Baltimore City Community College almost 30 years ago with a degree in Dental Hygiene and has been at the Baltimore Center of Advanced Dentistry for 25 years. Additionally she has a degree in Community Health from Towson University. Melanie is passionate about her work and takes pride in the wonderful care she provides. She is dedicated to our patients, many of whom she has treated for years, and treats all of her patients with respect and compassion. Melanie enjoys reading and traveling. She lives in Baltimore County with her husband, Milton and has three grandchildren. Shany joined the Baltimore Center of Advanced Dentistry in 2009 when she graduated from the University of Maryland Dental School with a degree in Dental Hygiene. Shany is known in the practice for her caring demeanor and the tenderness she shows in treating her patients. Thoughtful treatment and disease management are some of Shany's most evident traits. She also enjoys teaching the newest generation of Dental Hygienists at the University of Maryland Dental School.